Lewicki played for Adrian College, in her sophomore year she tallied 37 points (12g, 25a). 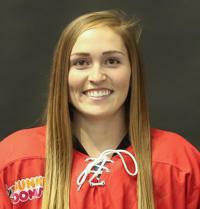 She was also named to the All-NCHA team. Lewicki joins the Riveters following a season with the Buffalo Beauts, where she tallied five goals and two assists over 14 games.